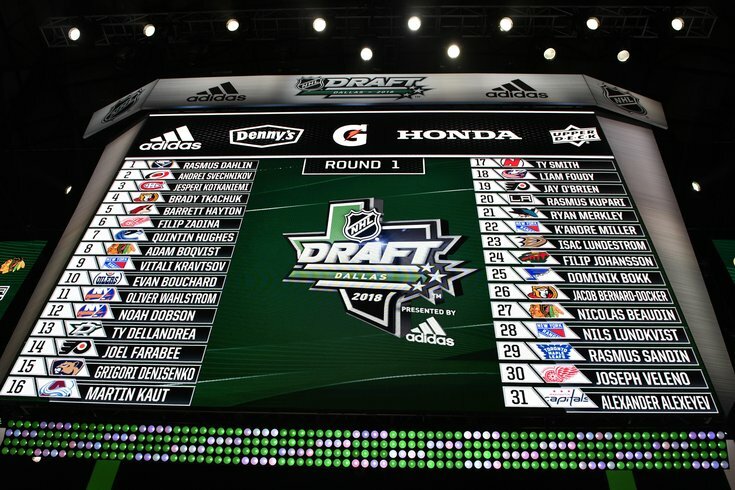 The Flyers added six players on the second day of the NHL Draft. After adding a pair of forwards in the first round of the 2018 NHL Entry Draft, the Philadelphia Flyers made the most of their seven remaining picks on Saturday, drafting six players (three defensemen, two forwards and a goalie) and trading one of their seventh round picks to Montreal for a seventh-rounder in 2019. Wylie’s bread and butter is his defensive game. Simply put, at the WHL level he’s established himself as a reliable, responsible two-way defender. He has effective mobility and skates well, but he’s elevated by his superb defensive awareness and ability to anticipate offensive attacks from the other team. He uses his size well, and just seems to know where to be in his own zone to minimize enemy offensive rushes. He’s also not afraid to block shots.